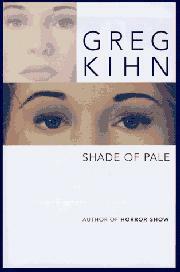  Ex-rock-and-roll star Kihn's first novel, Horror Show (1996), was a romp based on the satirical film Ed Wood. This time out, he deals with the Banshee, the Irish angel of death, also sometimes regarded as the avenging angel of wronged womanhood. Through a restaurant window, Manhattan shrink Jukes Wahler has himself seen the Banshee, the most beautiful woman on earth. Soon after, a new patient, Declan Loomis, a paranoid, comes for comforting: He, too, has seen the Banshee and asks Wahler to help him die. Wahler, of course, attempts to talk Loomis out of his crazy idea--but not long after, Loomis turns up dead, having been murdered in a particularly grisly fashion. And he's not the only one. The week before, Wahler discovers, Brendan Killian (a radical poet from Ireland) died in the same manner, his body seemingly destroyed by an explosion. Meanwhile, Wahler's sister Cathy has been beaten to a pulp yet again by her vicious fashion photographer boyfriend, Bobby Sudden, who hangs around with Irish terrorist Padraic O'Connor--another who has seen the Banshee and is convinced that he will die. Bobby beats up Wahler, abducts Cathy, and Wahler reports him. But reluctant police see only a lovers' quarrel. Wahler then goes off to see Fiona Rice, a professor of Irish mythology, who fills him in on the Banshee. Is it running amok in Manhattan? By this time, Bobby has got Cathy strung out on heroin. He also, as it happens, likes to kill whores and take snuff photos of their mutilated bodies, to the accompaniment of Procol Harum's recording of ``A Whiter Shade of Pale.'' O'Connor, pretending to be a private detective, visits Wahler and tells him he'll find Cathy for him if Wahler will find the Banshee in return, in hopes that Wahler can help him get off the hook with the ferocious angel. Before Wahler can act, though, the Banshee comes calling on Bobby. Less original but better told than Horror Show.